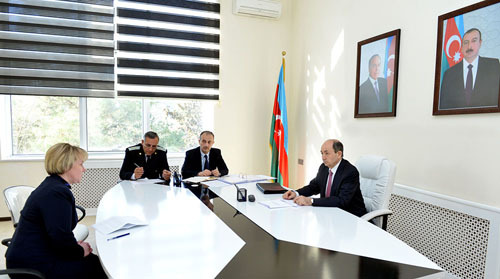 Special attention is paid to the reception of citizens in the regions by the Ministry of Justice in accordance with the instructions of the President of the country Mr. Ilham Aliyev related to decent service to the people by state bodies, care and sensitive approach to citizens appeals, meantime full ensuring of the principle of justice. On March 29, Minister of Justice, Chairman of the Judicial-Legal Council Fikret Mammadov held reception of citizens from Beylagan, Imishli, Fuzuli and Khojavand regions at the Heydar Aliyev Center in Beylagan. With the political will of the head of state Mr. Ilham Aliyev there is a tough fight against corruption in our republic and great importance is giving to international cooperation in this area. Our country as one of the organizers of the International Association of Anti-Corruption Authorities (IAACA), which unites 140 countries is constantly participate in its work. On February 17, Minister of Justice, Chairman of the Judicial Legal Council Fikret Mammadov met with Mikola Gnatovski, President of the European Committee for the Prevention of Torture (CPT) and other members of the Committee. neighborhood conditions in various fields. The legal cooperation has a special place in a relationship based on a rich contract base. Our countries carry out effective interaction by the intergovernmental agreements on legal aid, prisoners transfer and delivery, at the same time, a Memorandum of Cooperation was signed between the Ministries of Justice in 2004. 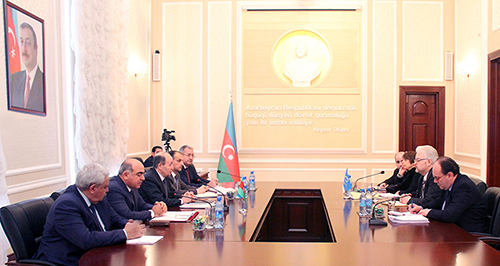 As a continuation of cooperation, the delegation led by Minister of Justice of the Islamic Republic of Iran Mustafa Purmahammadi visited Azerbaijan on February 16. Relations between Azerbaijan and Georgia based on friendship and neighborly relations are developing successfully in various fields, including in legal field. The two countries have effective cooperation based on a number of important documents signed on legal aid and various areas of justice. 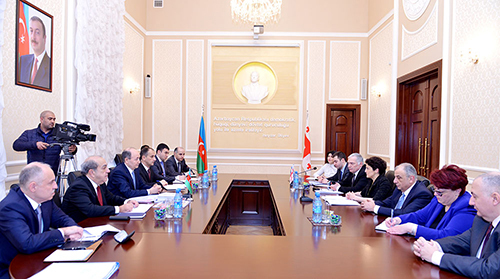 As a continuation of cooperation, on February 10, a delegation led by Georgian Justice Minister Ms. Tea Tsulukiani visited Azerbaijan. An extensive meeting of Judicial-Legal Council was held with the attendance of chairmen of all appellate courts and leaders of judge associations.